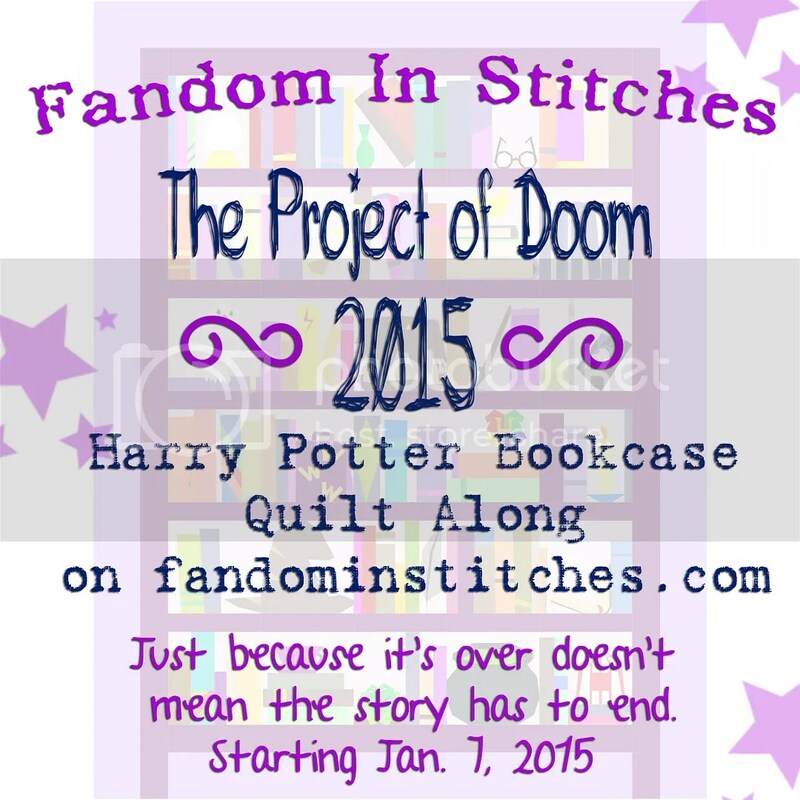 Words & Stitches | A blog about quilts, books and my love for both! Oh strings… when I first “met” Bonnie Hunter I wasn’t all that excited about strings. Then I started piecing Bonnie’s Jamestown Landing and I really liked using odd bits to make blocks. I had some string blocks donated that my cousin helped me assemble into donor quilts. Hmmm, pretty cool. Donor quilt with blocks from the Heartstrings Project. I took a class with Bonnie and made string blocks again. This time they were colorful and even more fun. I snuck a few little string block into this quilt. And by then, I was hooked. Even more so when I discovered that string blocks make great leader/ender blocks! I started making blocks that were 9.5 inches square. Lots of them. Then I decided to see how many blocks were hiding in a bag of scraps. This bag. I thought 10 blocks, or so. Boy was I wrong! A total of over 44 blocks were hiding in that bag along with some scrap vortex sections. So I’m well on my way to a second string quilt. Here’s a photo of my first string top. I hoped to get it done in time for the hop but it’s still in the flimsy stage. I’m having a little internal debate about borders or not but now that 2.0 has nearly all its blocks done, I’m thinking one of each! Many thanks to Carla at Creatin’ in the Sticks for putting this together! 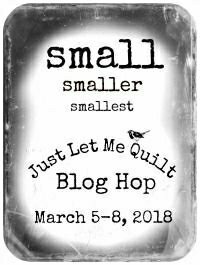 Pop over to her blog to enter for a terrific Fat Quarter Shop gift certificate and visit my fellow hoppers to see even more stringy inspiration. Then, grab some strings (check out Bonnie Hunter’s website for great string tutorials) and put together some string blocks. They’re like potato chips…I best you can’t stop at one! Saw penguins three different times… only one time that I could photograph and I could not use a flash. We survived high winds at the 12 Apostles and Lockhard Gorge. And now we’re settled in our Sydney hotel. But, that’s not all the excitement! 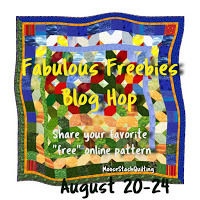 The strings blog hop is going on and there’s sew much to see! Needless to say, we are having an amazing time! More later! So, I happen to have six cats…. and a husband, so I always tell my husband that we’re the Crazy Cat Couple. With so many felines in my life they show up a lot in my pictures and they sneak both into and onto my quilts. Below is a selection of the kitties that have been in and on my quilts over the last few years. I’m sure if I had a tiara, it would have a few threads and cat hairs hanging from it! Now, I was hoping to be witty and funny in this post but I’m tapping this out in LAX as I get ready to fly to Melborne (the one in Australia) and my swipe is getting about every third word wrong! In addition, I’m worried about the whole time-change-date-line thing so I’m going to go ahead and post early…. just in case! Be sure to visit the other hoppers and see what they’re crazy about! And thanks to Marian from Seams to be Sew for her amazing “cat- herding” talents! Also, there’s an awesome giveaway from the Fat Quarter Shop! Two $35 gift certificates! Enter here. So, I thought I’d talk a little about something that’s been on my mind. Quilt shops are closing left and right. In the last year, my local shopping area lost Fabric Depot which was a huge destination fabric store and several smaller quilt shops have closed their doors. I’m seeing this theme repeated in my online groups, too. Some blame the internet, some the size of our stashes. Some blame that Tidying Up lady…but every piece of fabric I touch brings me joy so that’s not an issue to me! I am cruising through my year on the USS Frankenbatt (UFO’s, Stash and Scraps) so I admit even I’m not buying like I used to. So, how do we get our shops to stick around? Well, I don’t know about you, but I think the answer is….wait for it…more quilters!!! No, I’m serious. 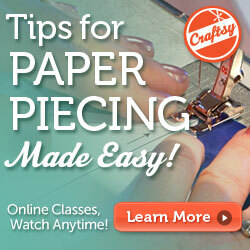 How many people have you introduced to quilting? (I like to joke that I should have “contagious” tattooed on my forehead!) Currently, I’m mentoring two friends through some of their first few quilt projects and I’m setting up an informal class after Spring Break to teach 3 friends and co-workers some basic skills. I’ve taught my daughters, my daycare kids, my exchange students and lots of friends how to quilt over the years. Now, not all of them will develop a love of the craft but some will. Now, the benefits to “growing your own” quilty friends? It’s fun! 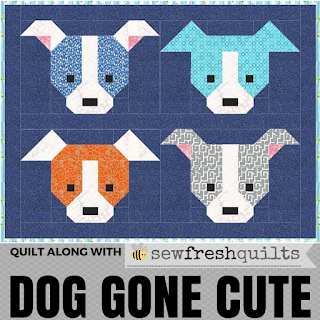 And you can never have too many quilty friends! They finally understand why you want to go to the quilt shop. You don’t have to take classes alone. You can plan weekends away with sewing machines. There’s nothing quite like seeing someone “click” with quilting. They win…you win. Every quilt they finish is like a vicarious UFO! More quilters means more fun but it also helps sustain the entire quilting ecosystem. All of the quilts above were ones that I was blessed to be able to coach on. It’s just super fun to know you helped someone achieve something they may not have known they could do. Is there someone in your life who has been admiring your quilts but thinks they “can’t do that?” Consider finding a couple of prospective quilters among your friends and acquaintences and see if you can help mentor them along. You win, they win and, who knows, maybe your favorite quilt shop will be able to stay around longer because of it! Just a thought because sometimes you just need to throw your thoughts out there to the universe and hope they click with someone else. This week’s challenge for Project Quilting 10.5 was abcededarious. I have to admit, I had a hard time getting into this one. Now, just for clarity…I don’t participate to win, just to challenge myself to step a little out of my zone and set aside some time that is just for me. As I’ve said before, my cruise theme for this year is the USS Frankenbatt with USS standing for UFO’s, Scraps and Stash. I had a small pile of pink left over from the tub I rescued the flying geese from and there was a biggish 1.5″ in strip in a nice bright pink. So, I scaled down the letter B pattern from an alphabet hop that Moda did a few years ago to accommodate the strip size and then did a little improve piecing around it. Then, I quilted it with B-words. B-words like brave, brash, bold, beauty, busy, bossy, belle, blissful, beloved and, finally, with my name, Beth. This little piece (just about 15×13) will hang in my sewing room. There’s just a few pieces left in the bin the flying geese were in.. 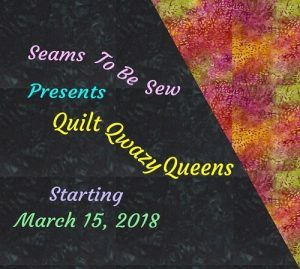 Linking up to Project Quilting! Last weekend, the USS Frankenbatt cruised into San Diego Diego celebrate my mom’s 87th birthday. I also got the very exciting news that I won this wonderful Maywood bundle in the Project Quilting Challenge drawing! I have a longer cruise coming up… my husband and I are traveling to…. wait for it…AUSTRALIA! So I needed a hand project for all those sitting times and I ordered a fabric kit for Violet Craft’s EPP lion pattern. I was really impressed with this kit from Fabric Bubb. All the fabric was already set up in color order which made the swatch process easy… right up until I tipped the whole thing off my lap. I’ve got all my pieces in bags by color and now need to get them basted as I can’t take my scissors on the plane with me. 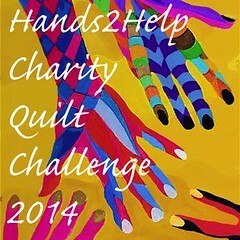 So, with 496 things to do, I’m still excited to see what tomorrow’s project quilting challenge will be. 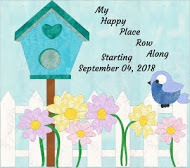 Show Your Wings Blog Hop! So when Carol mentioned flying geese, I immediately thought of these geese leftover from a project from, um, well, more than a decade ago. So, I decided to give these little guys a permanent home and went searching for some compatible fabrics. I ended up with this one for the star centers…it’s kitschy and vintage-y and it’s not my normal style but I had two fat quarters and that was just enough! I had quite the audition session for pinks that would work and one of these is actually the back of the fabric. Sandy Ray used to say, “You pay for both sides of your fabric so you get to use both sides.” I decided to cap the number of star blocks at twelve and let the rest of the geese play in the border. I didn’t get time to quilt this one because I want to play with my new ruler and maybe some feathers in the border but here’s my finished top…successfully moved from the parts department to the tops department! I love the soft, springy colors. I have no idea where this one will go but I think I may keep it for me! Be sure to check out all my feathered friends today! Lots of great inspiration around and it’s sure to raise your spirits! And, just because I can’t help myself…here’s a cute picture of Gizmo to brighten your day! Three yards of pink Kona cotton! After years of avoiding solids, I’m quite in love with Kona. They’re a beautiful weight and the range of colors is great! But pink is my all- time favorite and, this one sent right into active duty with minimal fabric petting time. What did I make? You’ll see, because Thursday is my day on the Show Your Wings Blog Hop. It’s also the kickoff to my mom’s 87th birthday weekend. With all that going on, I needed to get my Project Quilting pixels in a row quick! Since my goal this year is to sail through the year in the USS Frankenbatt (focusing on UFO’s, Stash and Scraps), I returned to my scraps for inspiration. I’ll admit that pixels left me with more ideas than time but this 15×17 mini was some seriously good therapy time after a hectic day. It will be a fun addition to the sewing room wall. Just a little spool of scrappy pixel thread. Not fancy, but finished. and come back Thursday to see what I made from this flock of leftover geese. I’m pretty excited about it! Project Quilting is beginning to remind me of am English class I took in college. We read three short stories each week and had a paper to write on our choice of stories. For the “bigger than a breadbox” challenge, I conceived and rejected a whole lot of ideas and finally settled on something I needed that was actually shaped like a bread box…a new sewing machine cover! Here’s the first cover and I wanted them to match…sort of. Many thanks to Kim and Trish for another fun challenge. My cover meets the challenge requirements at 10 x 18 inches and 8″ deep. A pile of leftover geese and I’m excited to show you what I’ve come up with!